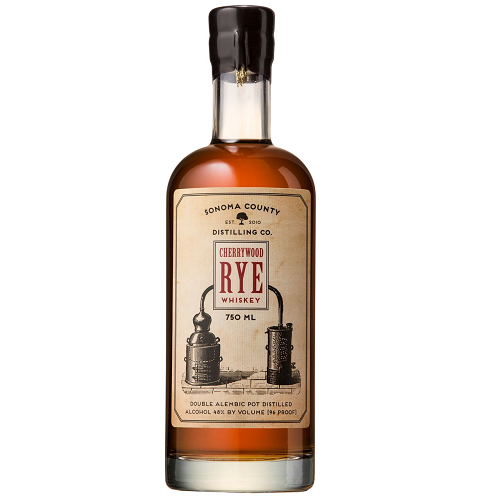 A 1-year-old (“minimum”) whiskey made from Canadian rye and wheat, and Cherrywood-smoked malt from Wyoming. The cherry smoke is clear, with a distinct fruity edge to it, along with the spicy rye nose: peppercorns and hot mint. A fierce entry, boiling with the components of the nose, that spreads and quiets on the tongue, finishing with oak dryness and that cherry-rye cocktail. Had the first batch; this 2016 batch is better. Watch for the 2017 later this year.